Over the past two years several different surplus power supplies have been included with the TAPR Thunderbolt kits. 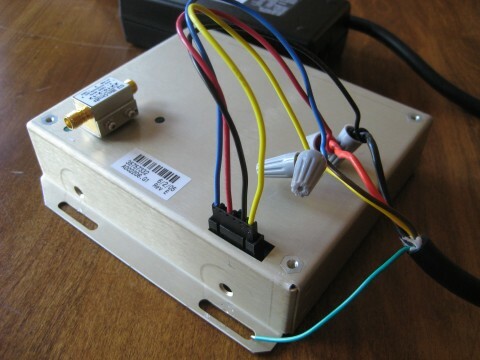 The following show how to configure the XLT45 power supply. 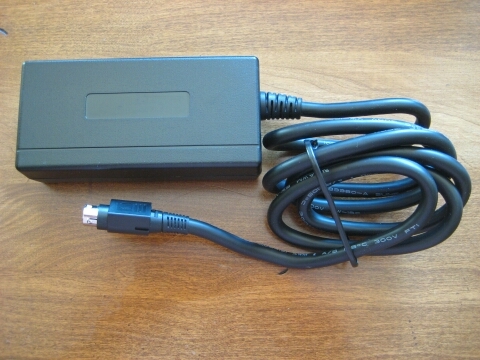 This is a high-quality, very compact, USA made switching power supply with more than enough power for a Thunderbolt GPS receiver. 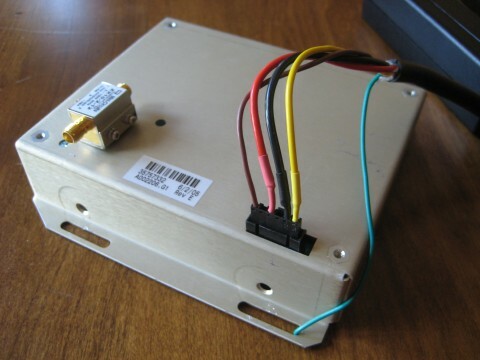 We start with the original "EOS Corp. XLT45" triple-output power supply. Strip off a couple of inches of the outer black insulation. 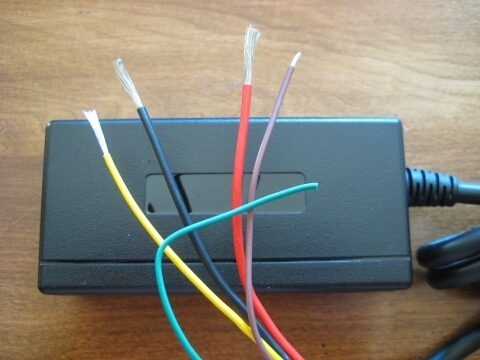 Cut and remove DIN connector. 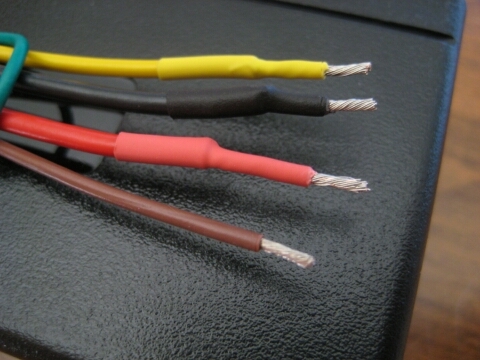 Remove 5mm of insulation from the brown wire; remove 1 inch of insulation from the red, black, and yellow wires. 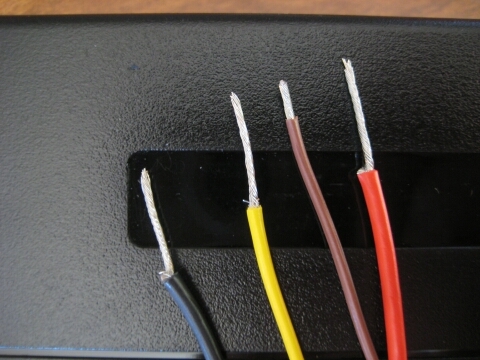 Three of the wires from this power supply are too thick to attached to the little crimp pins directly, so use the following technique. 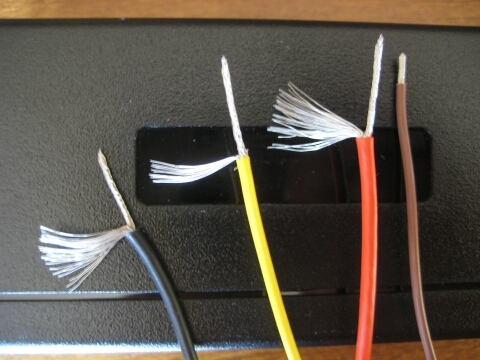 Separate and remove about 1/2 of the yellow strands; separate and remove about 2/3 of the red and black strands. 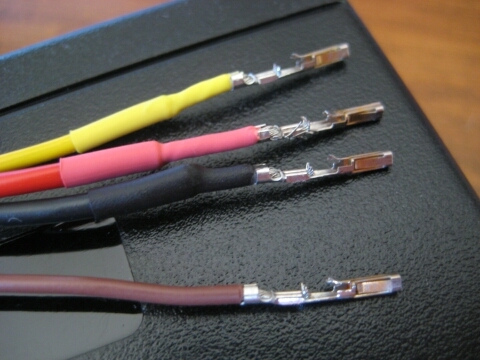 Use heat-shrink tubing to cover remaining strands; all of which should now approximate 22 gauge wire. Each should then have about 5mm of wire exposed. 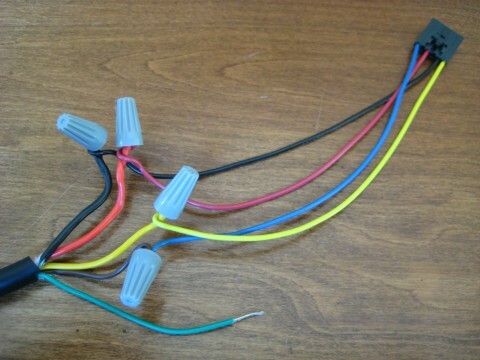 Then attach the crimp pins. 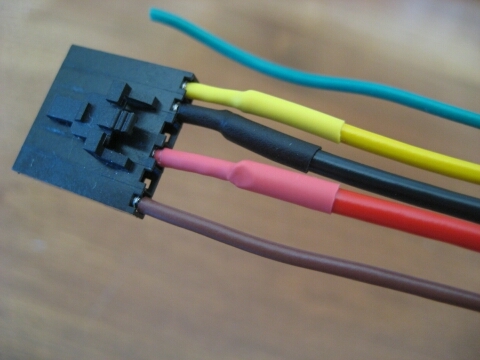 Detail of DC connector. Note green wire (mains ground) can be attached to Thunderbolt frame if desired. 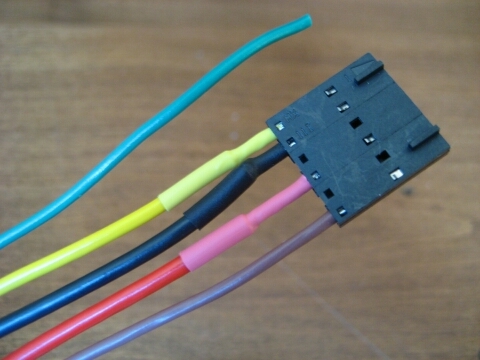 Alternatively, instead of the heat-shrink tubing hack, you can use regular 22 ga. wire for the DC connector and simply match the connector wires to the power supply wires, as shown here.